Background: Built in 1985, this home is near Eagle Creek Reservoir. The homeowners were looking to both modernize their space and streamline their lives. The homeowners worked with our designers to create a space that felt bigger without knocking down any walls. They also wanted more functional storage space. 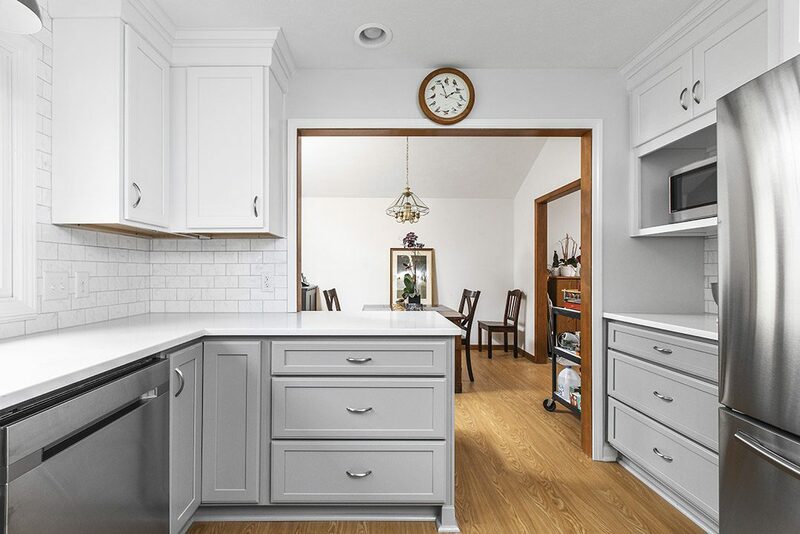 Our team transformed this ho-hum kitchen into a true centerpiece of the home. 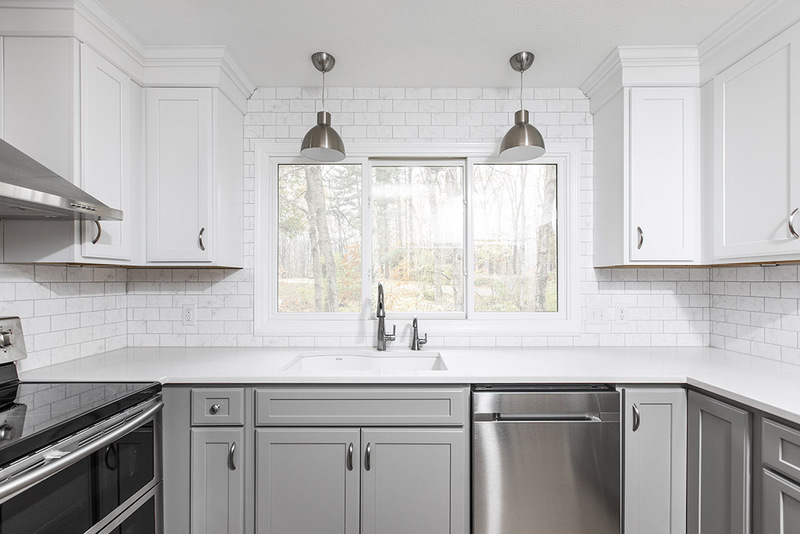 The homeowners chose a gorgeous gray for the lower cabinets and white for the upper cabinets. Bulkheads over the cabinets were removed and replaced with taller cabinetry that not only provides more storage, but makes the room seem taller. 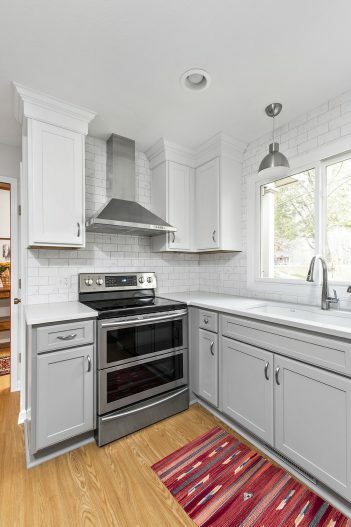 A quartz countertop was installed, and the tile backsplash was taken all the way to the ceiling to give the illusion of a taller ceiling. Instead of two smaller pantries, the design gave the homeowners one larger, more functional pantry space and a new counter for meal prep.